Its one thing for us to talk about what we have done, its another for you to actually see, hear and view what we have done, are doing as well as our experineces by visiting our portfolio page here. Leveraging a diverse skill set, Server StorageIO can help you look at and analyze various technologies and solutions in the appropriate and applicable context of having been a vendor, analyst as well as IT customer to meet your specific needs and requirements. Our tradecraft skillsets expertise is based on hands on real-world experience so we can not only talk the talk, we can walk the talk and talk about what we have done. Skillset experience spans IT and data infrastructure topics from business systems applicaiton development to systems management, architecture, technology administration, strategy, design, assessment and procurement decision making. Green IT, Sustainability, Performance, power and energy consumption, electric power generating and transmission (G&T), alternative fuel and data center power, UPS and backup power, power efficiency and effectiveness, RoHS, WEEE, benchmarking, energy star, EPA, metrics and measurements, IT optimization and efficiency. 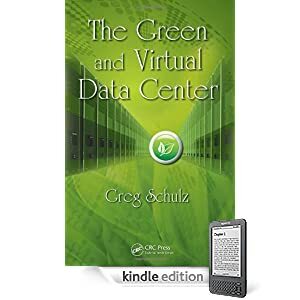 Backup, Continuous data protection (CDP), Compression, VTLs, PBBA, Deduplicaiton, snapshot, point-in-time (PIT) copy, RAID, CDP, mirroring and replication (local and remote), clustering, Snapshot, tape, hardware, software, optical, archiving, CAS and object storage, BC and DR planning, testing, ediscovery, training, polices and practices. SRM, SRA (Analytics), DCIM/IRM, data classification, Search, Cloud, MSP, SaaS, Grid, Capacity and Performance Planning, Change Management. Public and private cloud, IaaS, PaaS, SaaS, MSP, Open systems, Windows, Desktop, PC, Mainframes, Blade Systems, Virtual and Physical, Virtual I/O (VIO), I/O Virtualizaiton (IOV), Docker/Containers, Hypervisors, SQL/NoSQL, Hadoop, VMware, Hyper-V, OpenVMS, Unix, Linux, Apple, PICK, VDI, database and data warehouse among other related topics including systems and applications development. 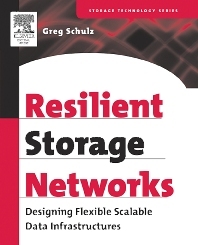 Sofware Defined, Hardware, RAID, Erasure Code (EC)/LRC, Forward Error Correction, Software Defined, SCM, NVM, NVMe, Flash Dedupe, SSD, HDD, HHDD, RHDD, VTL, VTS, Object Storage, AFA, Hybrid, Optical Storage, Disk, Tape, Fixed Content, Cloud, Grid, SaaS, COS, Bulk, SAN, NAS, CAS, Virtualizaiton, clustered, tiered storage, grid, converged, CI, HCI, CiB, NFS, HDFS, CIFS/SMB, scale-out and grid. Fibre Channel (FC), Ethernet, FCoE, NVMe, FICON, ESCON, SCSI, SAS, SATA, IP, iSCSI, PCI, DWDM, SONET/SDH, iFCP, FCIP, Optical Networks, InfiniBand, LAN, MAN, WAN, SAN, WAFS, NAS, NFS, CIFS, HDFS, SMB, Object, S3, CAS, Cloud, Switches, Directors, Routers, Channel extenders, HBAs, I/O Virtualization (IOV), Virtual I/O (VIO) and other related topics. Tuning, monitoring, server and storage resource monitoring (SRM), Storage / System Resource Analysis (SRA), Cross domain, End to End (E2E), metrics, measurement, CMDB, PMDB, DCIM, IT resource management (IRM), modeling, forecasting, benchmarking, sysbench, Benchmark Factory, vdbench, iometer, iorate, cosbench, jet, diskspd, dfsio, teragen, TPC, SQL, configuration, technology assessment, acquisition, configuration, benchmarking, HVAC, green and environmental, power and cooling topics for the data center. Check out our Server, Storage I/O Performance and Benchmarking page to learn more about various tools, tips, techniques and experineces. Data center design and review, budgeting, service level (SLA), ILM, DCIM, classification and characterization, change control, servers, storage, file systems, operating systems, storage management tools, storage software, security, encryption, environmental and physical infrastructure items, email, database, RFI, RFP, RFQ. Applications programming and systems analysts, systems programmer, software developer, server system admin, server and storage planner, performance and capacity planner, BC/DR/Data Protection planning and strategy, architect, system engineer, sales, marketing, technologist, industry analyst, author, blogger, columnist, podcaster, video and advisor, BA computer science, president of user groups, Board of Director, MSDD (masters) software design development (software engineering). In addition to providing IT industry advisory and custom consulting services, we also create content that includes public facing, as well as internal or non-customer focused material. This includes thought leadership, trends, and technology focused material as well as strategy and decision making, or buying options. Content spans StorageIO Lab reports, test drives, proof of concepts to white papers, articles, solution briefs, data sheets, tips, columns, guest posts, videos, blogs, podcasts, webinars as well as live in person events. Check out some of recent content via the links below, as well as our archives and let us know how we can be of assistance to your project or content needs. Click Here to learn more about the services provided by StorageIO. Contact StorageIO at: [email protected] or +1 651-275-1563 to arrange a briefing or to learn more about our services and how StorageIO can be of assistance to your storage and data infrastructure needs.